At Navjyoti Center the Sisters of Charity of Nazareth empower students with learning challenges and differences. 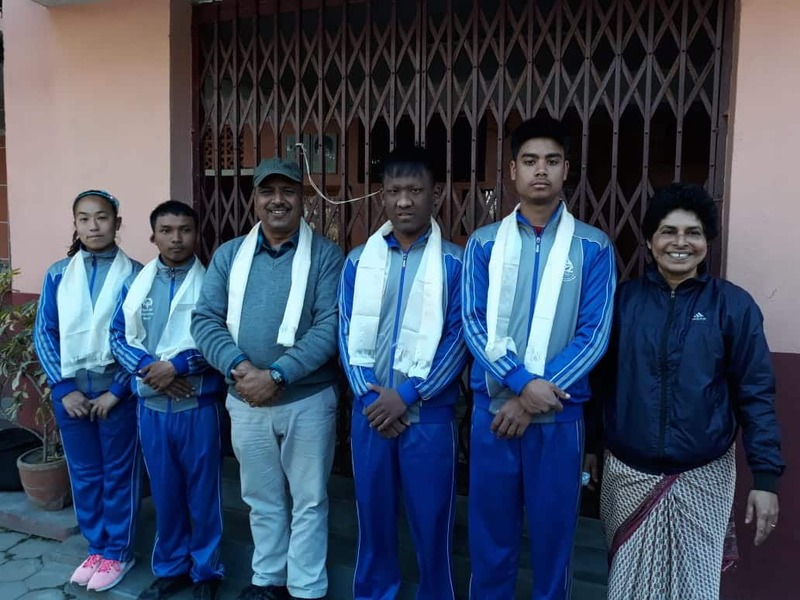 Sister Lisa prepares coach Ganesh and students Sunita, Ajay, Kshitiz, and Ishan of the center in Kathmandu to leave for Abu Dhabi and the 2019 Special Olympics. Good luck athletes! Good luck to all participating in the Special Olympics. Proud of you and your coaches. I am so proud and even happier I know these boys and their teachers! Do all your best. It takes an effort to realise one’s potential. Good luck to each of you. I know you will represent Navjyoti Center and Nepal well. I am proud of you, your coach and all who are supporting you.